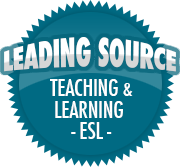 Characteristics of a Comprehensive Curriculum (Focus on Curriculum Part 2) | So, You Think You Can Teach ESL? To review, “curriculum” is the prescribed course of learning set for students. It tells what, why, and how students should learn. It is meant to help students develop the skills, knowledge, values and attitudes they need to be successful in life (both in and out of the classroom). Learning in schools occurs in both intended and unintended ways. The “intended” learning often happens in the classroom, under a controlled environment. The formal curriculum – textbooks, lessons, etc. – is what teachers and administrators assess to track student learning. The “unintended” curriculum happens when children are at play, during lunch or break times, and is what the students “learn” from their day-to-day interactions with their peers and teachers. What makes a “good” curriculum? The term “good” is quite vague. I prefer the term “comprehensive” instead since it signifies a level of understanding and depth of content that should be covered. It is student-centered and values students as individuals. It is based on an understanding of widely accepted methods of how students learn. It reflects the decisions made by the curriculum development team were in the best interests of the students. What students should learn is at the heart of curriculum. The world is full of all kinds of facts, figures, and other fun things, that it’s hard to narrow it all down to fit a 9-month school year plan. Lots of time and planning goes into what students should ultimately know by the end of their school years. To explain further, content should be kept up-to-date as often as new facts are proven and outdated ones are discarded. The books and other materials should reflect the changes. Teachers can make content relevant by relating it to their students’ personal interests. Students can be encouraged to research topics they are interested in. For example, if they are learning about their communities in social studies class, students can research ways they can help their communities, or the people who work in them. Content needs to be balanced. That means it needs to incorporate the physical, cognitive, social, and personal development of students. Each subject should reflect the desired knowledge, attitudes, skills, and values students should develop over the course of the year. The curriculum should be integrated. Traditionally, each subject focused on its own discipline with little cross-over. Over the past decade or so, subjects are beginning to teach lessons that incorporate other subjects to help students apply skills to real-life. Using multidisciplinary lessons or projects are a great way to get students to learn how to think in different ways and create new meaningful connections. Lastly, the content should be aligned with international/national standards. The learning areas and content should be easy to compare with content from schools around the world or country the school is in. While textbooks are still important tools to facilitate learning, course content can be presented in a variety of ways. Teachers are free use other resources such as media articles, group or individual projects, videos, role-plays, and other activities to help keep students interested in learning. These enrichment activities should be planned and kept relevant to the learning objectives and reflect the students’ needs. They also allow students to take an active role in their own education and allow for students of all styles to participate. Ultimately a comprehensive curriculum should help students seek connections between what they learn to what happens in their daily lives, recognize that learning is developmental, establish clear goals and objectives for student learning, and provide for opportunities for students to learn through experience.